For once, it’s not his loadout stopping people from playing with him. All photos this post by Gen. DeGroot. Arena. We all know it’s a dead mode. Sure, there have been other modes that Valve dropped, like Special Delivery or Territory Control. But Arena was the only one with a considerable push behind it, starting with not just one map, but five: Lumberyard, Badlands, Ravine, Granary, and Well. It even received four more maps after its initial push. But despite this key difference, the mode still died. Why? Well, in short, it’s not very good. Why? There are a few reasons. Every other mode in TF2 centers on an objective. Push the cart, stop the enemy team from capturing points, protect your intelligence while capturing the enemy’s. Arena mode is the sole exception; it focuses instead upon killing. Arena mode goes against TF2’s core concept of an objective-based shooter. There are plenty of FPSes that revolve solely around killing enemies. Valve has since made one, Counter-Strike: Global Offensive. 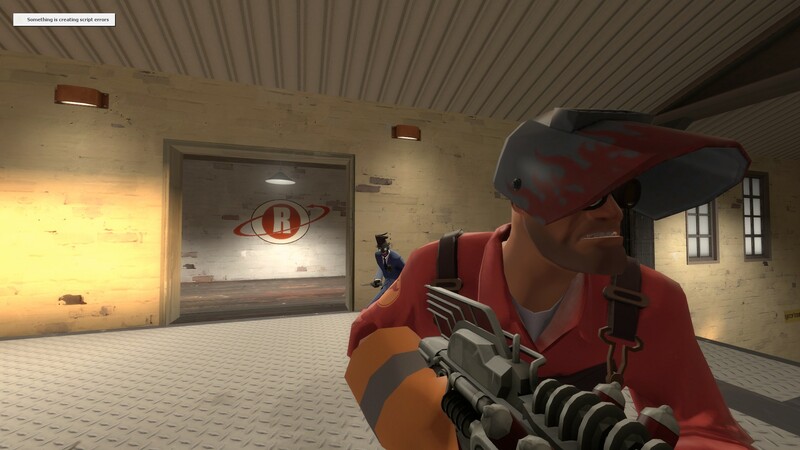 If someone wants to play a game like that, in all likelihood they’ll play those games, not TF2. 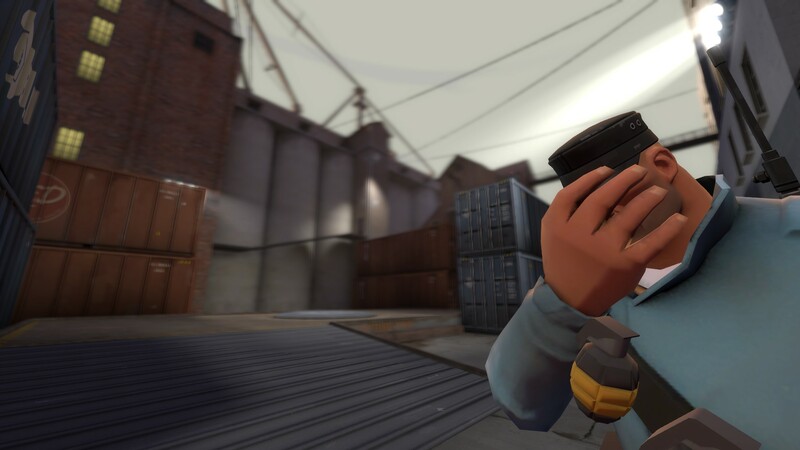 When you play TF2, don’t you want to, y’know, play TF2? Whatever playing TF2 means to you – trading, shooting robots, or capping points – you play TF2 to do that. If you wanted to sit around, you don’t need TF2 to do so. So why should you play a mode where if you get killed early on, you just wait? Valve tried to make things less torturous for players by adding the control point in the middle, but calling it successful is a stretch. For one thing, it doesn’t unlock until a minute into the round. While that makes sense, seeing as Arena is a mode based around killing rather than capturing, it’s still a while to wait if you get sniped in the first 10 seconds. Second, the last survivors often get that way by being evasive in some way or another, such as a Scout that always runs at the first sign of trouble or a Spy with the Cloak and Dagger. These playstyles, while effective, can drag the match out for a long time and drain the fun from it, even for those still alive. Third, the mode is, as stated several times before, about killing and not capping, so there’s somewhat of a taboo against playing the point. If you want to do it, and by some miracle you find an Arena server with a decent number of players, prepare to be cussed out by at least one player. It’s like an incredibly boring episode of Carmen Sandiego, and 16/18 players are forced to watch. On top of all this, you can also end up waiting in another way. If there’s an odd number of players on the server, the teams can’t be even, and thus someone has to sit out so that the teams are fair. So let’s say you die early on and then you end up having to sit out next round. You have effectively just been sitting there for two rounds’ worth of time. When rounds can get dragged out for extended periods, this quickly becomes a horrible experience. The final nail in the coffin is the map list. Most of the maps are just trimmed-down King of the Hill or 5CP maps: Badlands, Nucleus, Granary, Sawmill, and Well. Granted, other modes share maps between them, but for an example, take Well. Its 5CP version has an entirely different middle than its CTF counterpart. The only difference in Arena is that most of the map is cut out. The maps chosen are also bad choices. Badlands loses its most distinct landmark, the spire, when cut down. Nucleus, Sawmill, and, to a lesser extent, Well, have frustrating midpoints where you can die to even the smallest bit of knockback, which is a cardinal sin when you don’t respawn. Granary is the only one that was a good choice. The Arena-exclusive maps are better, but still could use work. Ravine is actually a good map, in my opinion, and I’d like to see it tested in KotH form. Lumberyard would also make a good KotH map, but the pits to either side of the map are out of place in a mode where you can’t respawn. Offblast suffers from the same problem, but to a greater extent, and also feels cramped. Watchtower is a unique map, but its vertical focus is a bit misplaced in the comparatively small horizontal space it occupies. After all, only two classes have explosive jumping in their stock loadouts, and the number is still less than half even when unlocks are introduced.